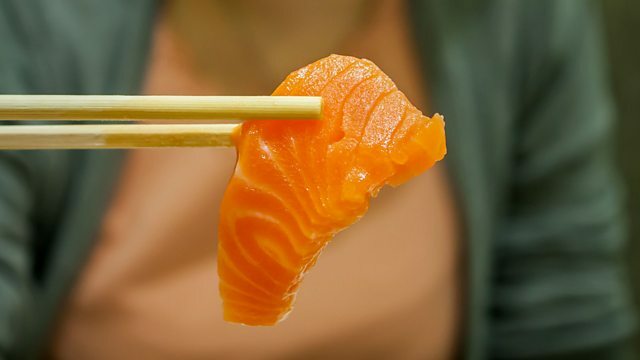 BBC World Service - The Food Chain, The New Animals, Genetically engineered salmon anyone? For the very first time in the world, Biotech company AquaBounty made a genetically engineered animal available for public consumption. Since going on sale last year in Canada, their genetically engineered salmon has attracted controversy from consumers and scientists alike. AquaBounty CEO Ronald Stotish explains why this pioneering fish has caused such a splash and why it was nearly thirty years in the making. Do you have a seat at the feast?